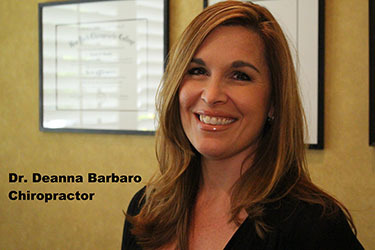 Dr. Barbaro graduated from New York Chiropactic College in 1997. Prior to studying at Chiropractic School, she attended Buffalo State and Regents College. She has been serving families and patients for over 18 years. Since she began practicing chiropractic, Dr. Barbaro has kept up to date on many continuing educational classes, ensuring that her patients receive the most comprehensive and advanced chiropractic care. Dr. Dee (as her patients call her), has a lifelong passion to educate and help her patients achieve complete wellness. A resident of Naples since 1998, Dr. D is married to her husband Vince and has 2 beautiful children, Vincent, 10 and Brianna, 7.